This place stinks, literally. 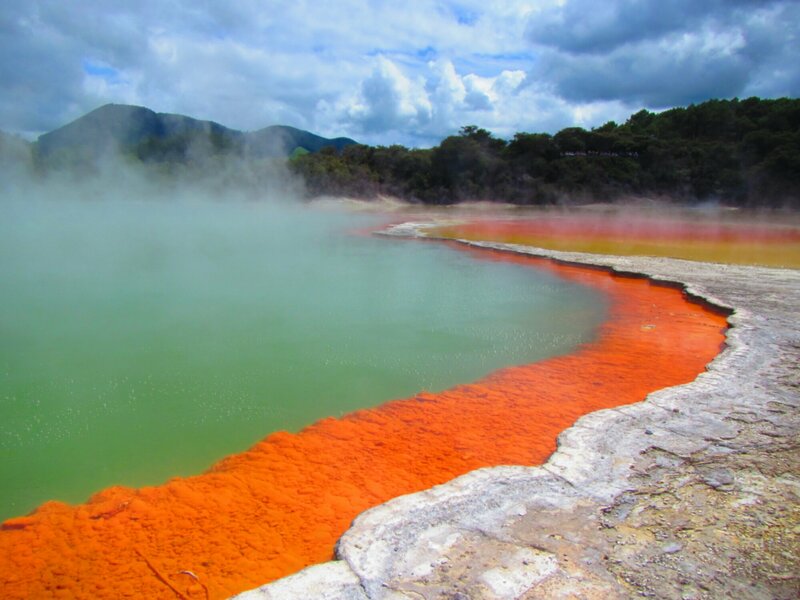 Rotorua is known for geothermal activity that gives off a rotten egg smell, which is from the sulphur in the hot springs. Amy, an American from California, and I met in our shared room at the Spa Lodge. In the evening we went to Hells Gate for a mud bath and sulphur spa soak. We stunk after, but hey our skin was softer than a baby’s bottom. 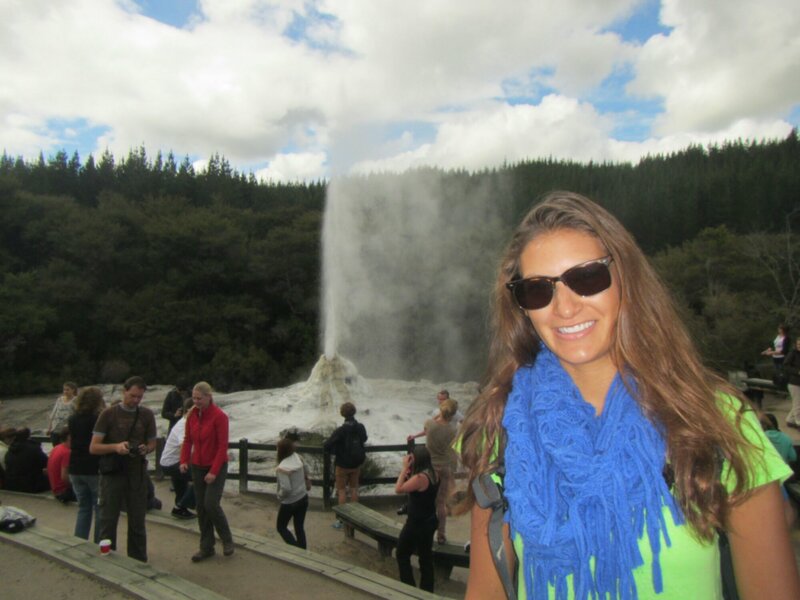 The next day we went to Wai-O-Tapu (Sacred Waters), which is a Thermal Wonderland located in the Taupo Volcanic Zone. It is covered with collapsed craters, cold and boiling pools of mud, water and steaming fumaroles. First, we went to the world’s second largest geyser in the world. They activate it by inserting clothing detergent. Prisoners were forced to log trees in the area and one decided to wash his clothes with the warm water. Once the detergent was added the geyser started to erupt and they ran for the hills, naked. Note the largest one is in Yellowstone. Ya aMerica! Note the red woods in the back of the geyser; they are not native to New Zealand. A volcano bursted and took out all the native trees, which take about 100 years to mature. So they planted the California red wood because they grow much quicker at15 years to maturity. In this area it is the largest man made forest, which is used for forestry. Another heck ya America! The Champagne Pool is 74°C and was formed by a hydrothermal eruption 700 years ago. Minerals around the edge include: gold, silver, mercury, and sulphur. Devils Bath is a beautiful bright green. 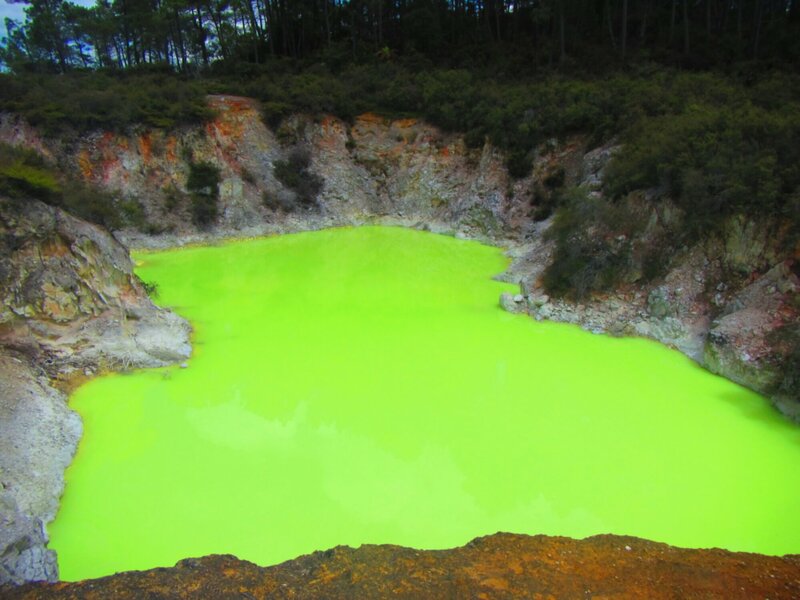 Suspended Sulphur is the reason for the green in this Eruption Crater. 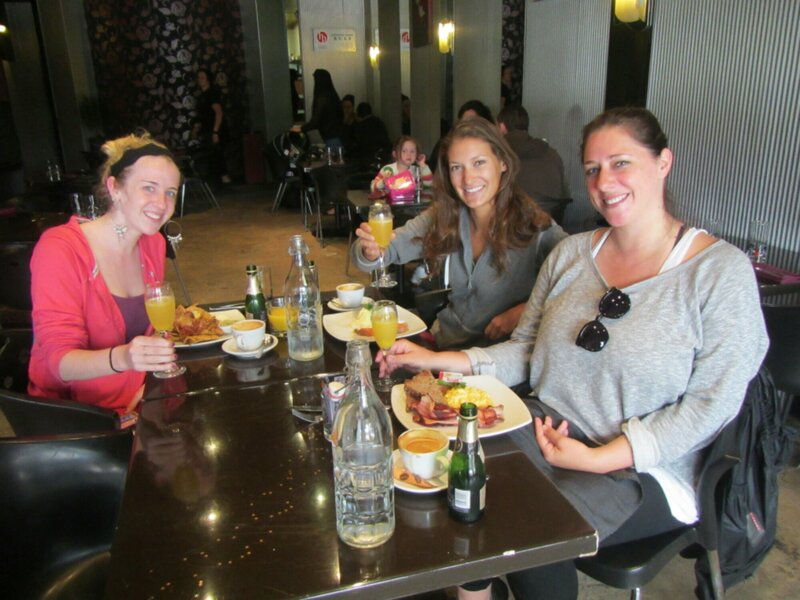 Next was delicious brunch with Amy and Morgan, whom we met on the tour and is from North Carolina. Morgan took off and Amy and I continued to walk around the lake. 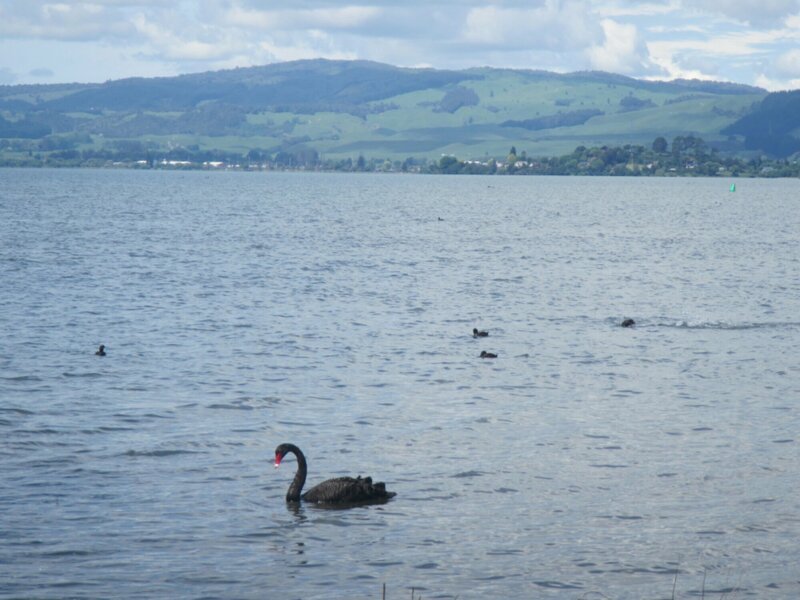 There are many birds including black swans. Look at that view behind! 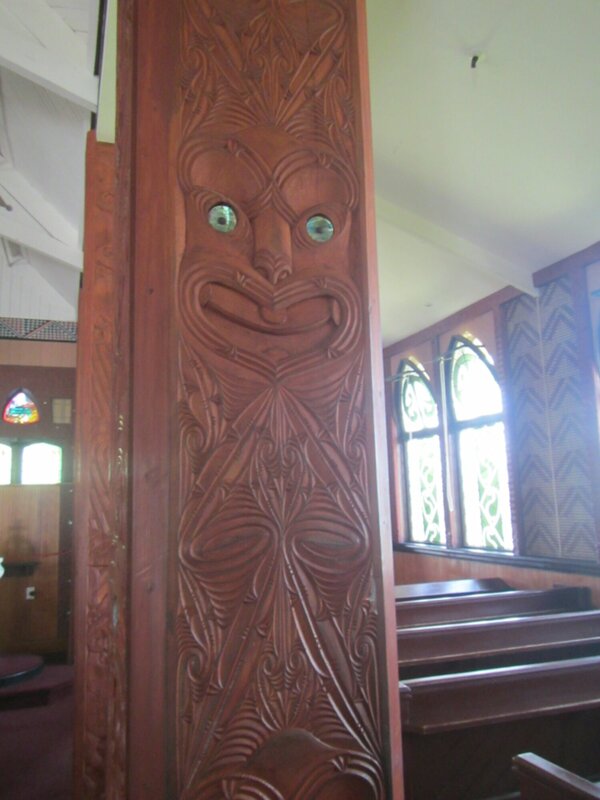 We went to the Catholic church which has many Maori carvings, which is one of the things they are known for. Maori is the tribe that still lives in Rotorua today. In fact, they comprise about 40% of the population. To this day chiefs and warriors get tattooed on their face. Even wife’s and daughters of Chiefs get a tattoo on their chin. It is a sign of respect. After walking all around we went to get happy hour at a place with really good beers. Amy had a night bus to catch and I passed out. The next day it was perfect weather, so I walked around the Saturday Market and got a crepe and a Thai message. The surrounding park is so beautiful even though the near by hot springs stink. 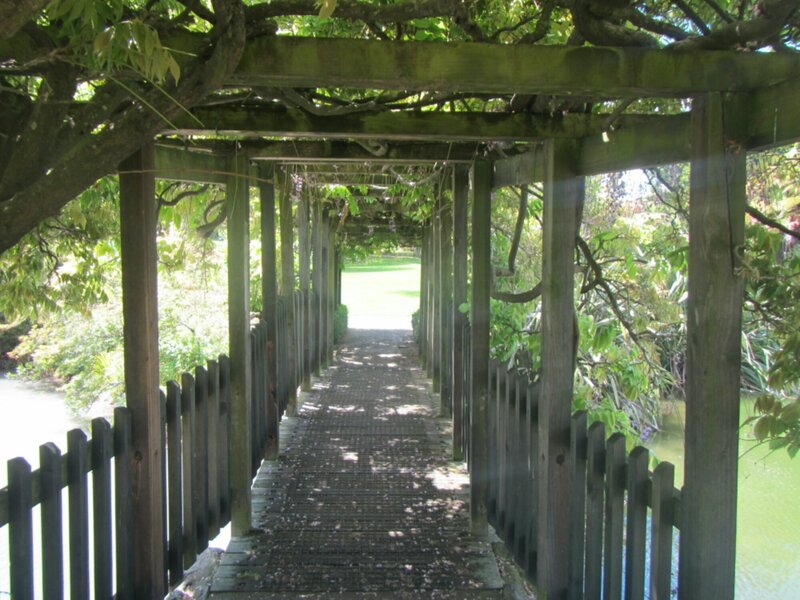 Off to Ohakune, the doorstep of the Tongariro Crossing, which is considered to be one of New Zealand’s great walks. 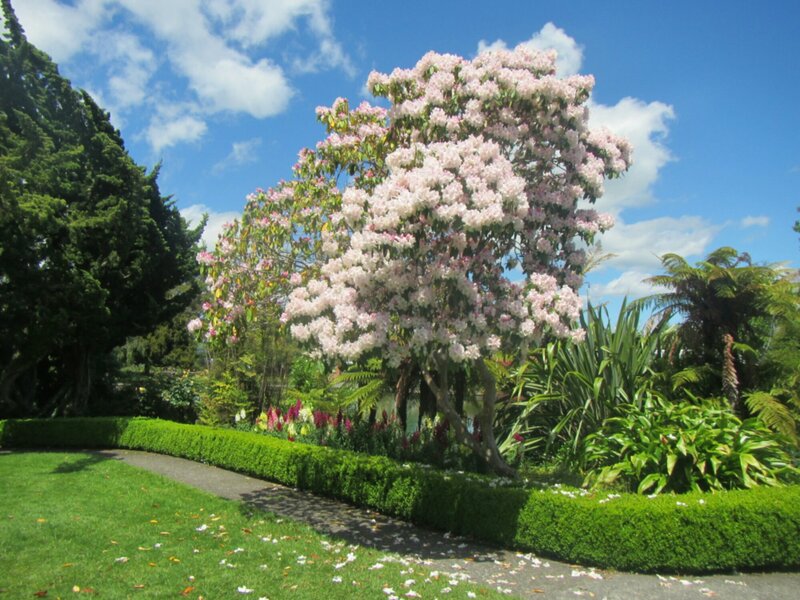 This Post was posted in New Zealand, World Trip 2013. Bookmark the permalink.